Here we will outline exactly what should be included in your budget and what to watch out for. Begin by looking closely at how much you can afford to spend. Will you be using your savings or financing your project? Either way, you will want to determine what you can comfortable spend or borrow, then outline what will be needed from start to finish. When determining how much will be needed for your project, you will need to have a clear picture of exactly what you want your finished project to be. Without this, accurately budgeting for and pricing materials will be impossible. You will need to determine the size of the space your renovating and the present condition of that space. 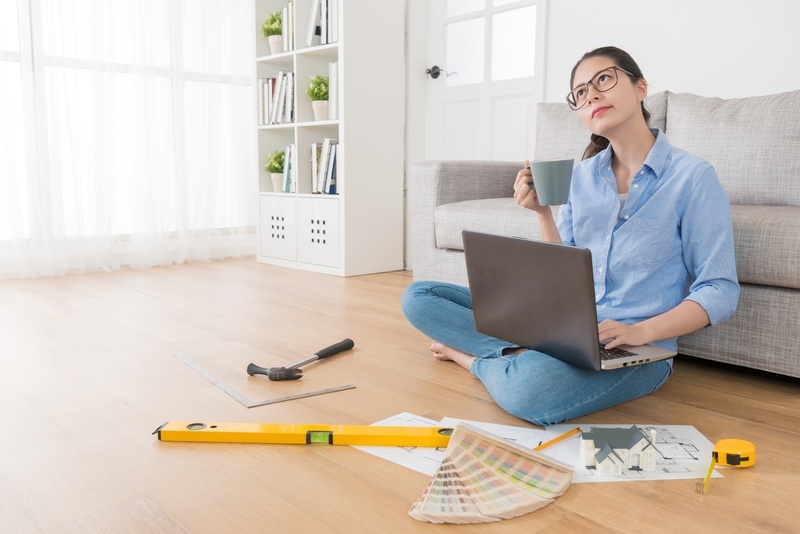 Keep in mind that whether this is a Do-It-Yourself project or if you are hiring a contractor, you will ultimately be paying by square footage. Now that you’ve determine what you want out of your project and the size of the space you are working with, it is time to start your budget spreadsheet. Your spreadsheet should include line items for each portion of your project, along with the estimated cost you determined you would be spending and the actual cost of the items. Do not forget to account for taxes and shipping charges when pricing your project! Keeping tract of the estimated and actual costs will allow you to watch your finances carefully and make adjustments to your project as you go. Be sure to include labor charges if you are hiring a contractor for any part of your project (be sure to get quotes from multiple contractors), costs of any necessary permits, materials and tools, fixtures for finishing touches, and cleanup costs such as a dumpster or junk removal service. If you are planning a major renovation where you are unable to stay in your home during the time of the project, be sure to account for your temporary housing, adding at least one additional month of costs for unexpected delays. Along with accounting for unexpected delays, be sure to include at least an additional 10 to 20 percent for unforeseen costs and changes that will inevitable come up. No matter how well you believe you have planned your project, life (and projects) are full of surprises. Shop around at multiple home improvement stores and discount stores for the best prices. Even if you plan to hire a contractor, tackle the smaller tasks yourself to save on labor charges. Reconsider your materials by opting for vinyl over tile and composite countertops instead of pricier granite. Consider refurbishing cabinets instead of replacing with brand new cabinets. When making large purchases from just one store, be sure to ask about any discounts that might be available. Many times they will honor a contractors discount if your purchase is large enough. When getting quotes from contactors, make sure they are coming out to inspect and measure the space so your receiving an accurate quote on square footage and accounting for prep work and finish work. Though it will be tempting, do not allow yourself to add additional items along the way if they are not necessary. If your budget allows at the end, you can then splurge on the additional items if you still want them.